Join the Peacock Sky Team for a late afternoon of beautifully crafted canapés and our brand new release, 2014 Reserve Blanc de Noirs! 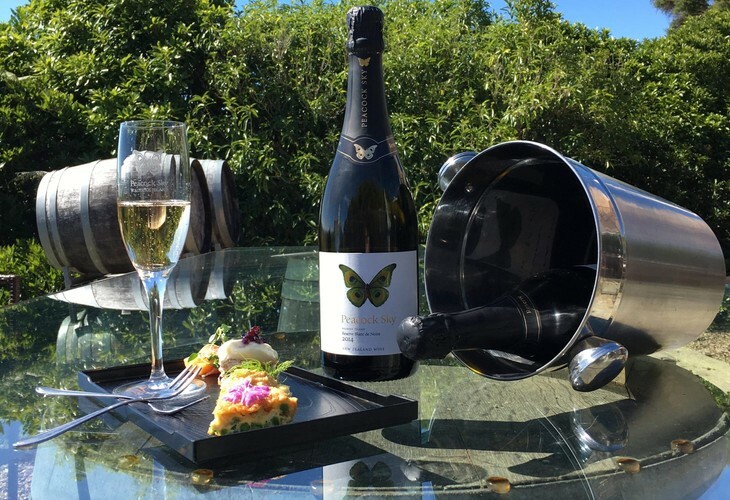 To celebrate this delicious addition to our cellar door, we’re putting on an event to showcase what we do best, food and wine pairings…our unique and versatile bubbles is great for any time of day, and many different types of food. The Peacock Sky cellar door & kitchen teams have worked together to create food matches to inspire and titillate your taste buds. Come along on 1st of March for the perfect way to kick off your Friday night, from 3:30pm until 6pm we’ll be hosting a relaxed evening of nibbles & bubbles, along with chilled acoustic music from local musician Sahara Adams. Come and relax with your friends, enjoying vineyard views and late afternoon sunshine. $15 gets you your first glass of our new methode traditionelle, served on a tasting platter with a selection of delicious canapes, second glass $10! Restaurants to book near Reserve Release Day!